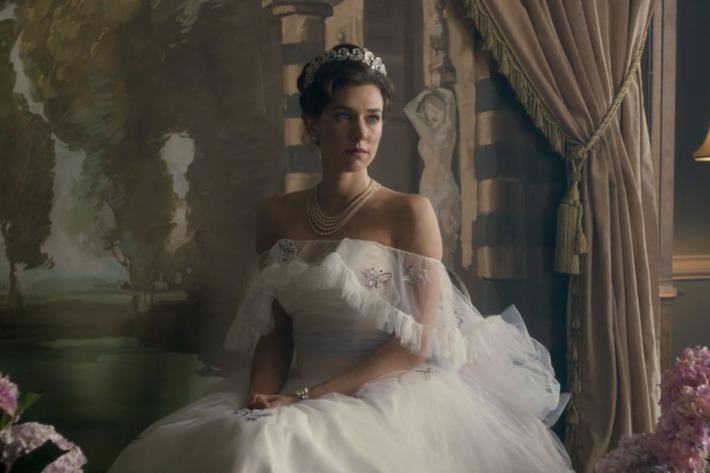 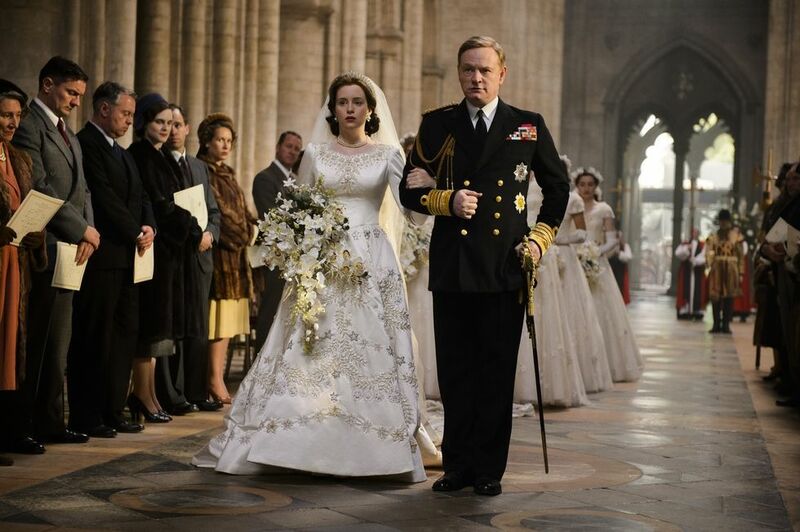 Season 2 of The Crown has many things to offer: new light on the relationship between The Queen and Prince Philip, deeper look into Princess Margaret’s inner turmoil, scandalous events that would have otherwise been forgotten or unknown to the new generation (was Prince Philip really involved in the Profumo scandal OMG). 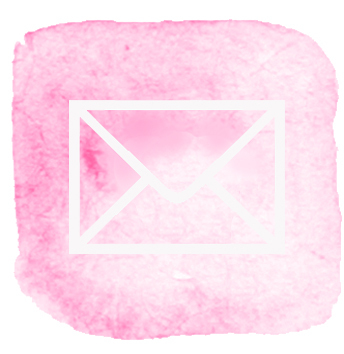 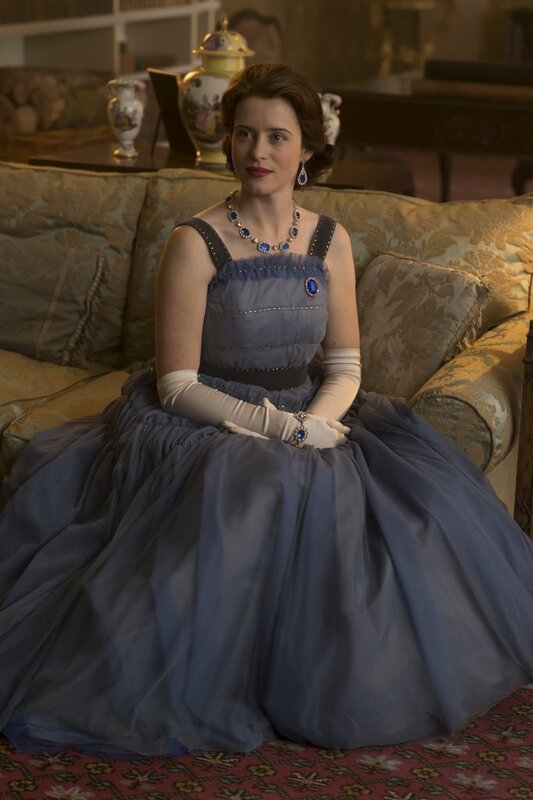 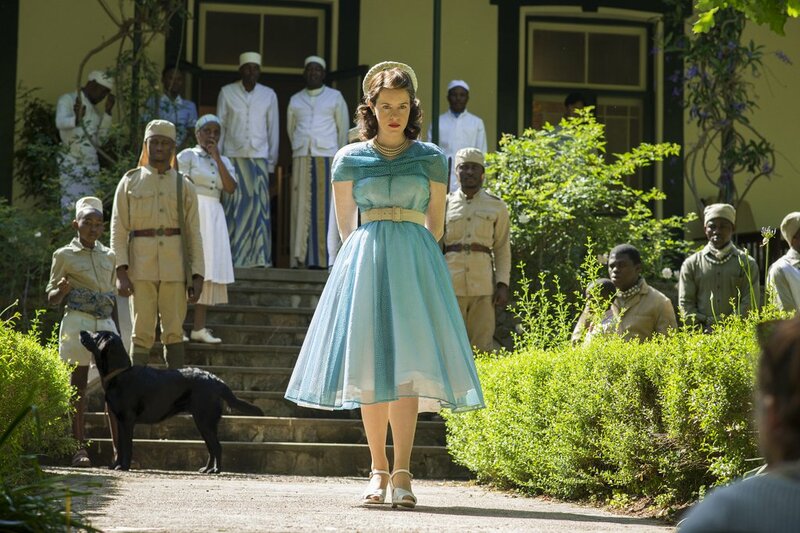 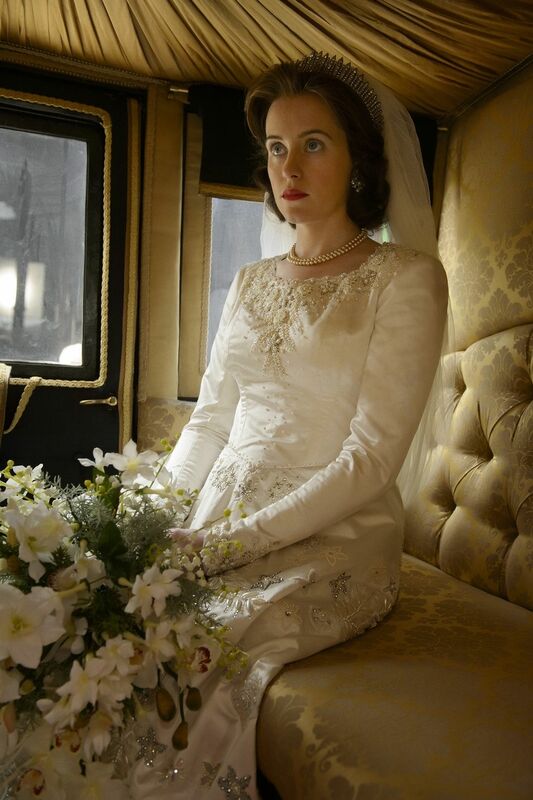 But it is the costumes that I wish to focus on in this post, especially that of episode 8, Dear Mrs. Kennedy, which is my favorite episode of the season, filled with drama that allows Claire Foy’s meticulous yet effortless acting skills to shine. 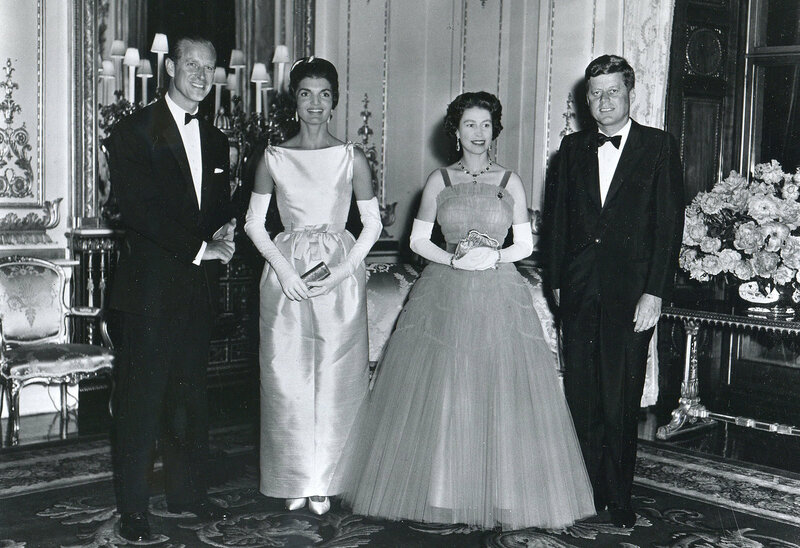 The Queen chose a peacock blue tulle ballgown to meet with the Kennedys. 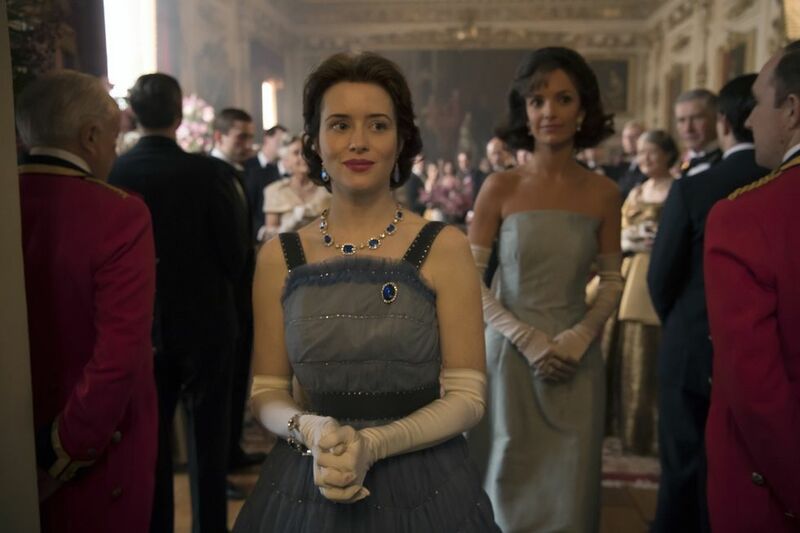 It is one of the most sumptuous pieces on the show and reflects her insecurities having to appear with Jackie O, the fashion icon at the time who made nations fall head over heels. 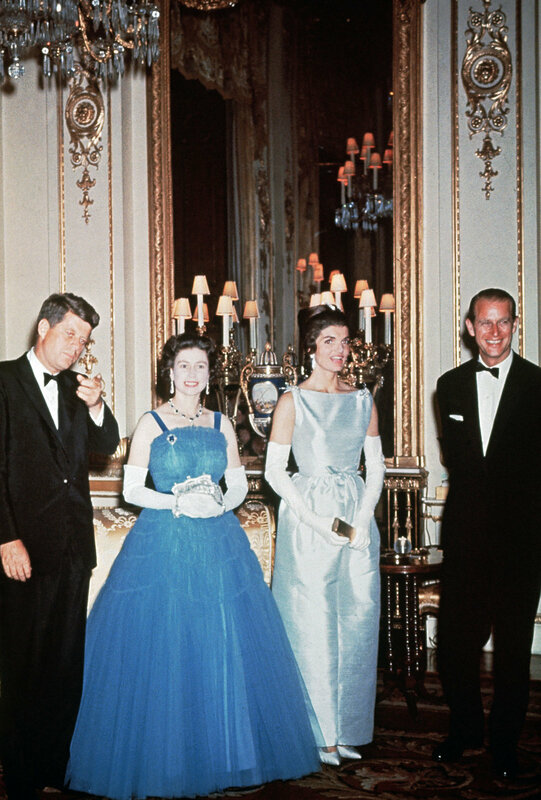 Interestingly, Mrs. Kennedy also wore blue, but an icy, barely there hue with a sleek and slender silhouette. 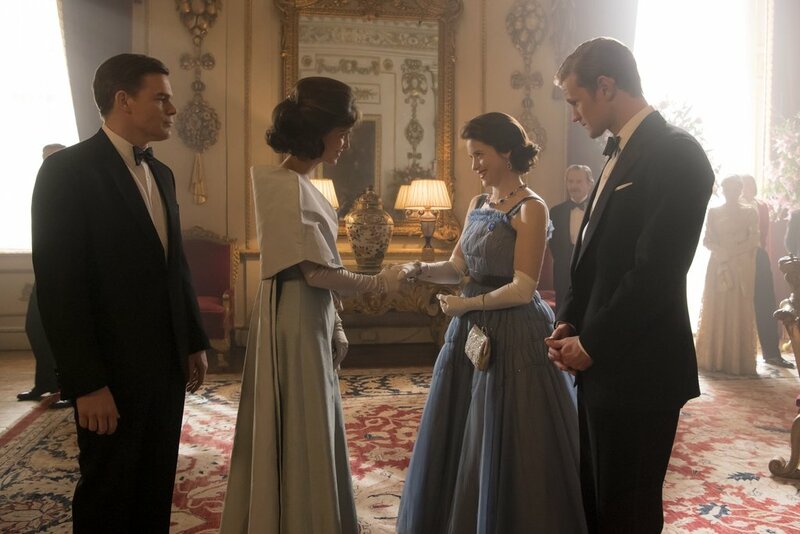 Whilst it is up for debate whether the two ladies did share a mutual dislike of each other as depicted, it is impressive to find how the gown of The Queen in the show is almost identical to the actual one. 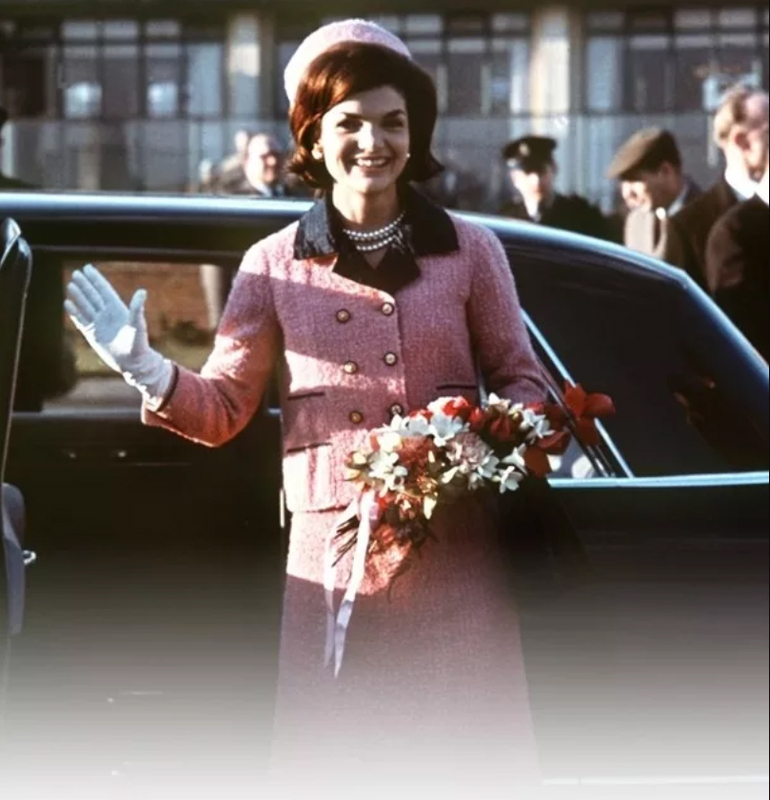 As for Mrs. Kennedy’s, I surely prefer the original version more. 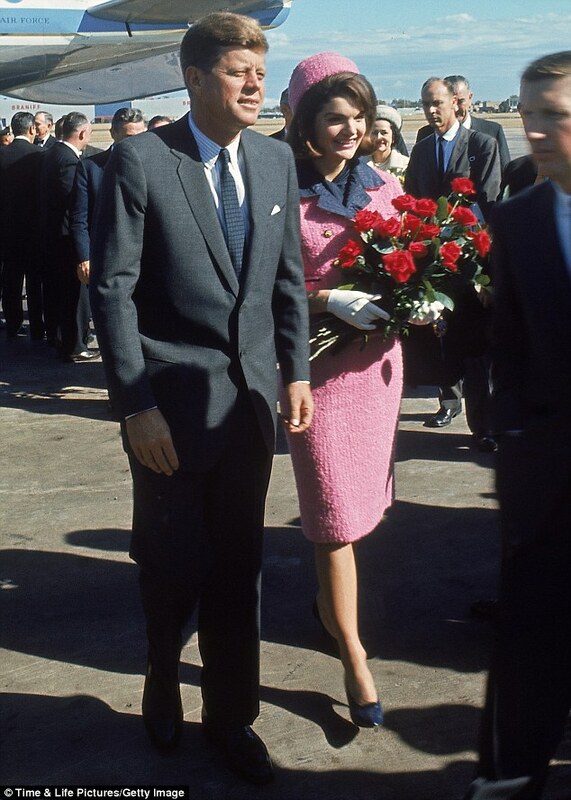 The infamous pink suit also had a brief cameo in the show but I can’t find any stills. 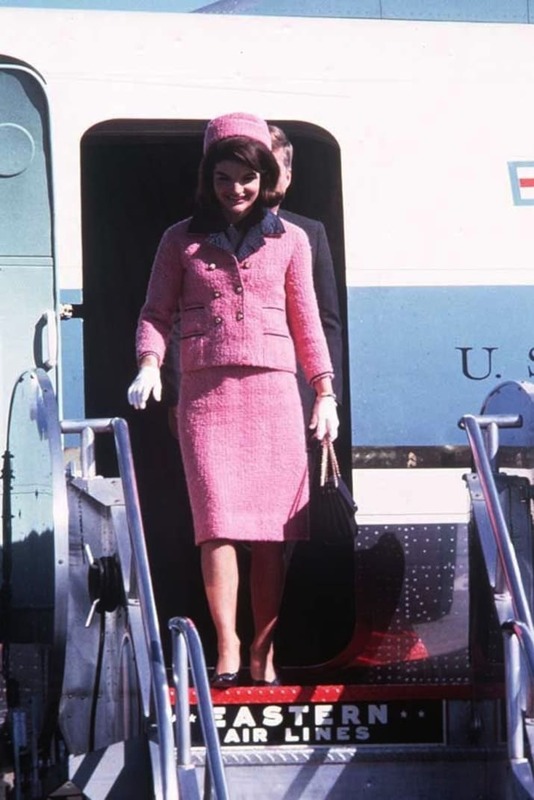 I did however find some interesting facts about the suit: contrary to popular belief, it was in fact not Chanel as the First Lady had to wear USA label, though the fabrics and buttons were provided by Chanel. 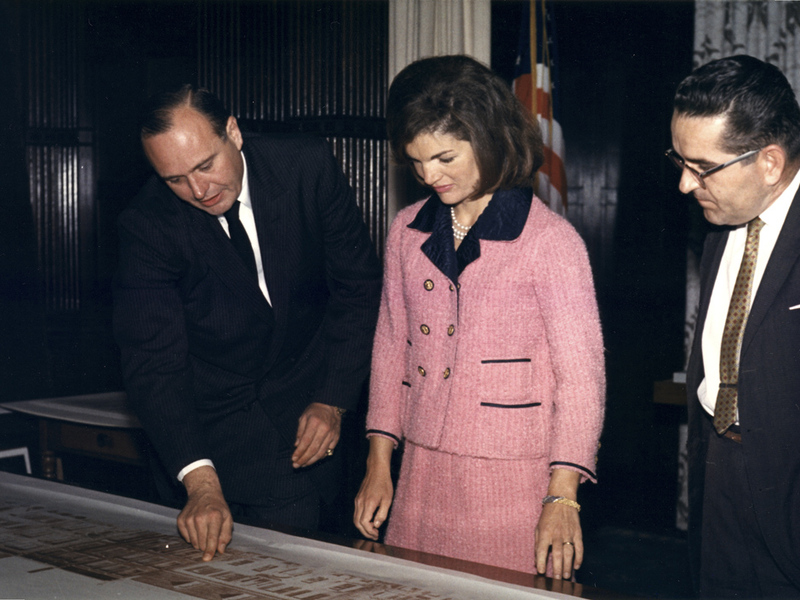 The bloodstained suit is now kept by the National Archive in a humidity controlled room and would not be shown to the public until at least 2103. 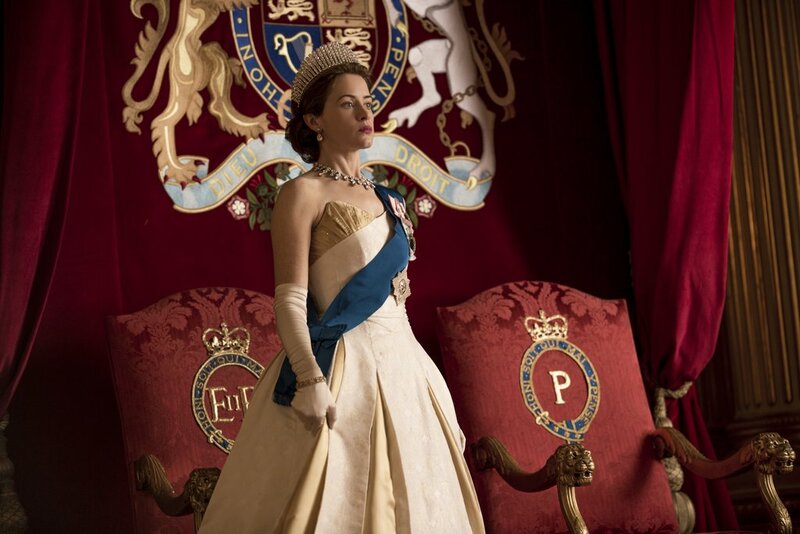 Which of The Crown’s fashion moments is your fave? 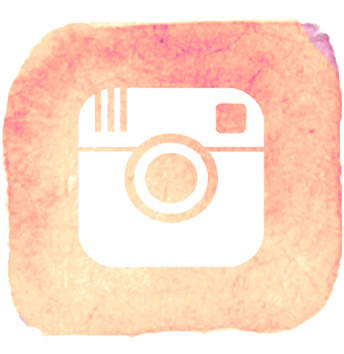 Let me know! 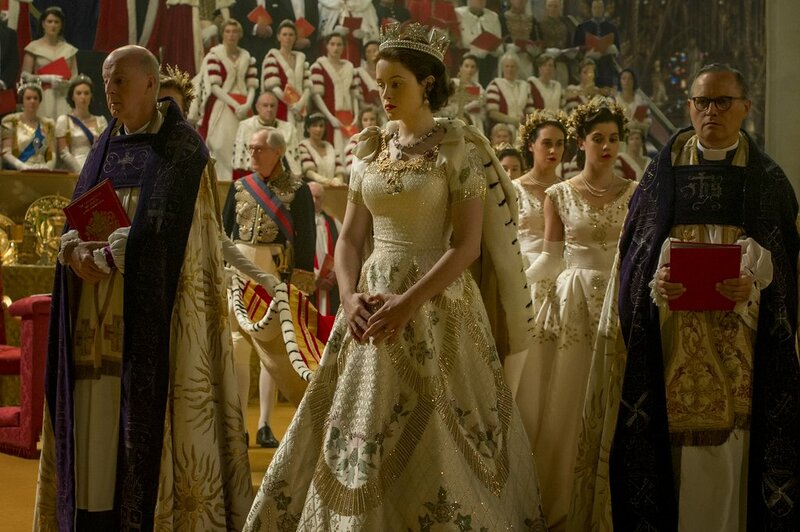 The crown is one of the series I’m really looking forward to watching, but I didn’t know it had such cool outfits! 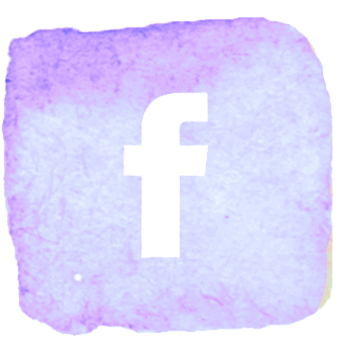 Such an interesting post! 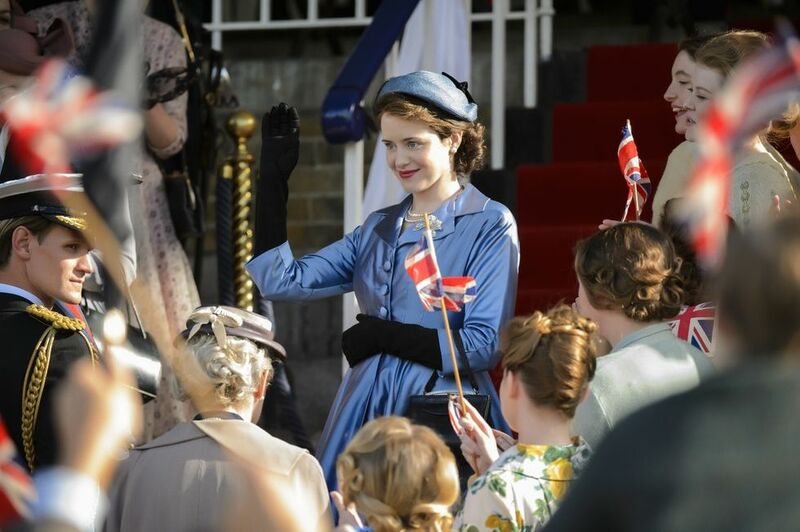 Hope you’ve enjoyed the series!